Does it taste like Hostess? I am sad to say NO! 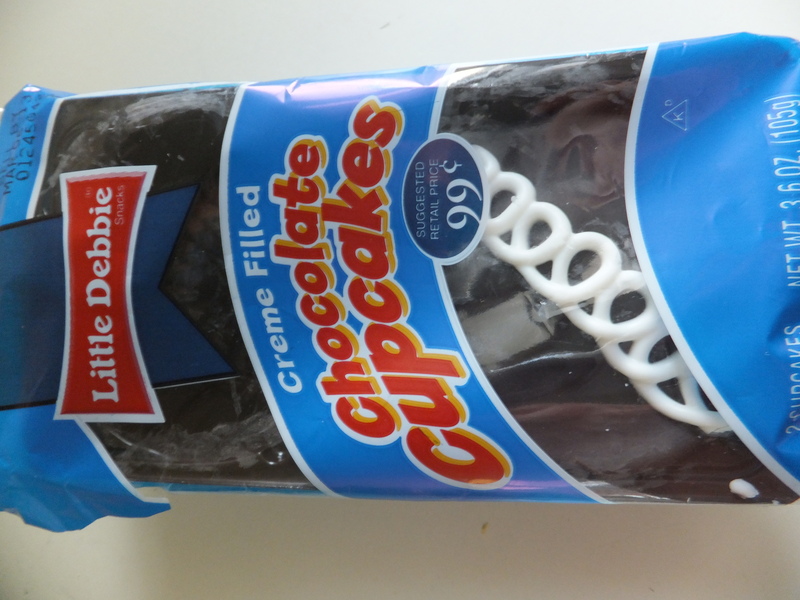 I was in Walmart getting a gift card for Mr. B who turned 6 this week, when I saw this package of Little Debbie cupcakes. I liked Hostess cupcakes, but didn’t really eat them THAT often, but as soon as you can not get something you really crave it. 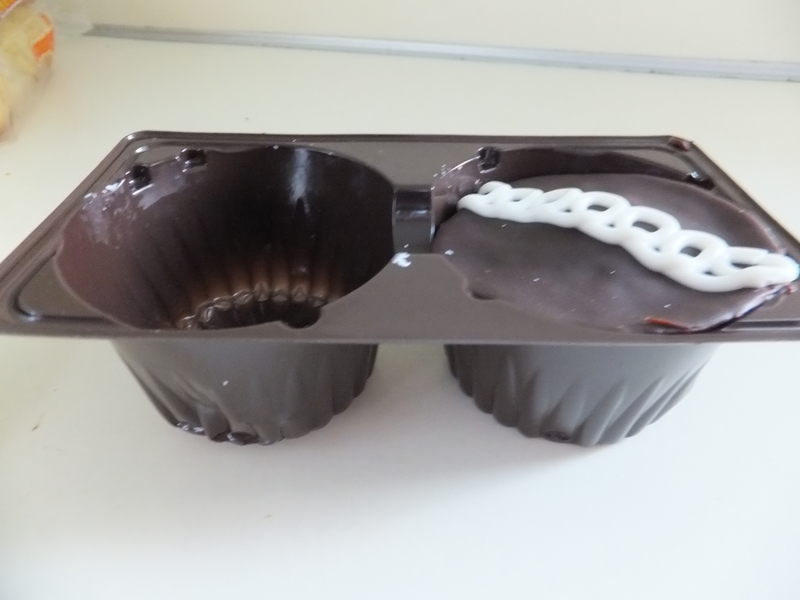 Of course I purchased the cupcakes and I am afraid to say that I tore into the package as soon as I got in the car. Little Debbie did make a good try. They look like Hostess…are packaged like Hostess, but they do not taste like Hostess. 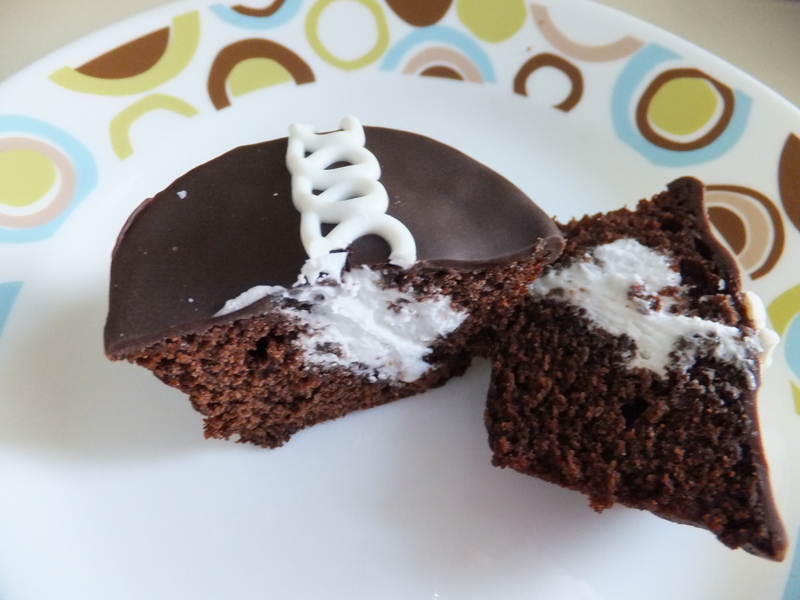 The icing is pretty spot on, but the cake does not have the same almost fudge like taste of Hostess. The good part about this sad fact is I don’t think I will be buying them again and hence calories saved on my part. Little Debbie may need to make a call into “Buddy” on TLC to see if he can help them out with the taste.